Paratroopers from the 173rd Airborne Brigade train with allies and partners during Operation Swift Response, July 18, 2017. 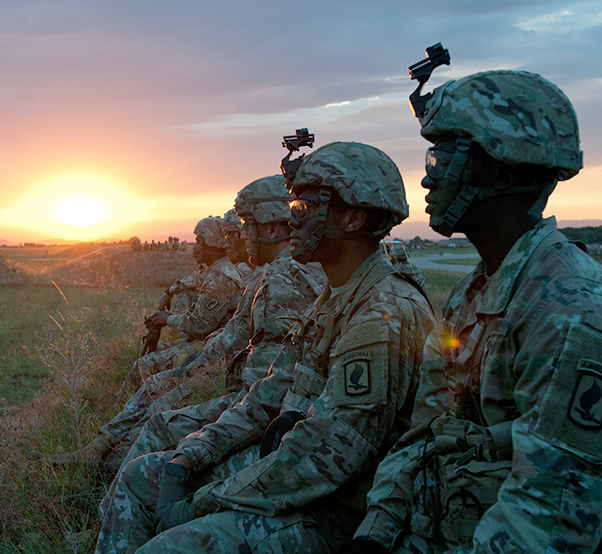 All eyes went to the sky as 500 military paratroopers — comprised of U.S., Canadian and Italian forces — dropped from wave after wave of C-130 aircraft during Operation Swift Response, July 18, at the Bezmer Air Base in Bulgaria as part of Exercise Saber Guardian 17. The Bulgarian Air Force also participated in conjunction with their own air operation, where jets and Apaches strafed the area with missiles and other ordinance as a means to “soften up” the landing area. 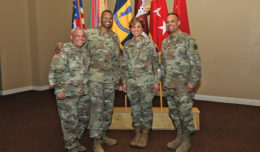 “The confidence you get from watching these young professionals from our nation and our partnered nations training together makes me excited,” said Lt. Gen. Ben Hodges, U.S. Army Europe’s commanding general. 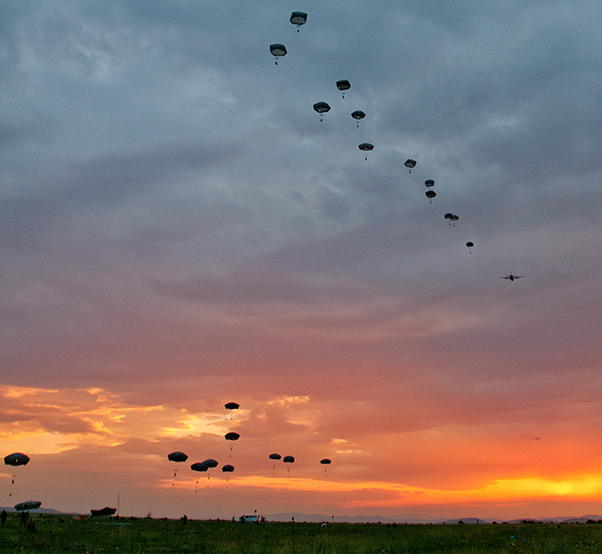 Once the landing zone is softened by the initial airstrikes, the paratroopers dropped in with one objective: to clear the airstrip of any threats. 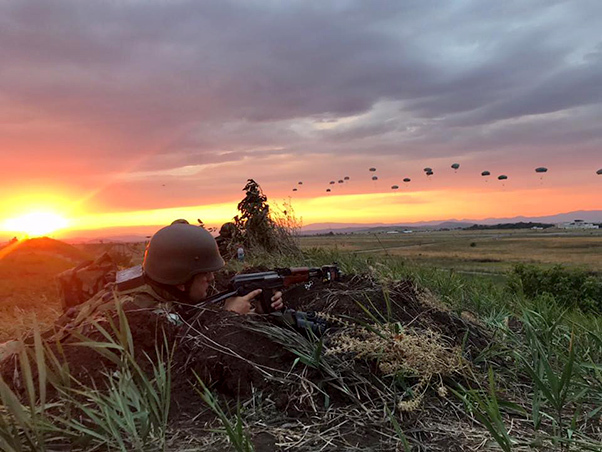 While clearing the airstrip, paratroopers established a hasty defense — the term for a defense that is organized while in contact with the enemy or when contact is imminent and time is limited. In total, 11 active and reserve C-130 Hercules and two C-17 Globemaster III aircraft were used to airdrop and deliver 500 paratroopers, as well as two Strykers and four high mobility multiwheeled vehicles loaded with gear. The paratroopers dropped before sundown and maintained their defensive position until first light, when the support vehicles were dropped into the zone. Strykers and extra gear arrived after a solid defensive position was established. Soldiers with 1st Battalion, 503rd Infantry Regiment, 173rd Airborne Brigade, jump out of a U.S. Air Force Reserve C-130 Hercules aircraft during an airfield seizure training exercise at Bezmer Airbase, Bulgaria, on July 18, 2017, during exercise Swift Response. Hodges said these different operations, included under the umbrella of Saber Guardian 17, show how committed the NATO and partner nations are to building a stronger Europe, while enhancing interoperability through training. Saber Guardian is an annual multinational exercise held in the Black Sea region as part of the U.S. European Command Joint Exercise Program. The exercise reinforces deterrence measures agreed to by NATO at the Warsaw Summit in 2016, assures allies and partners of the enduring U.S. commitment to the collective defense and prosperity of the Black Sea region, and enables the alliance’s command and control functions. Similar operations will take place in the future all around Europe as the U.S and partnered nations improve their working relationship for the benefit of a stronger Europe. This paratrooper drop was watched by the hundreds of people present, and also by multiple military organizations in the U.S. via live stream. Airborne operations have been used by many nations since the First World War, and even though the need for airborne operations has decreased, training and readiness in this area are a priority for the U.S. and its allies. Soldiers with 173rd Brigade Support Battalion, 173rd Airborne Brigade, prepare to collect parachutes during an airfield seizure training exercise at Bezmer Airbase, Bulgaria, on July 18, 2017, during exercise Swift Response. 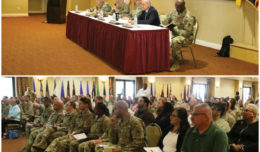 Swift Response is part of Saber Guardian, a U.S. Army Europe-led, multinational exercise that spans across Bulgaria, Hungary and Romania with more than 25,000 service members from 22 allied and partner nations. For anyone who asks why the U.S. still have airborne units, Hodges has a very passionate response. “First, history,” Hodges said. 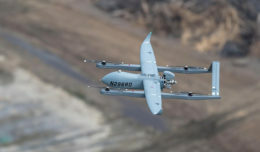 “Never say we will never need airborne capabilities, because history has shown us time and time again that this asset is still needed for current warfare operations abroad. Similar operations will take place in the future all around Europe as the U.S and partnered nations improve their working relationship and fighting forces for a stronger Europe.